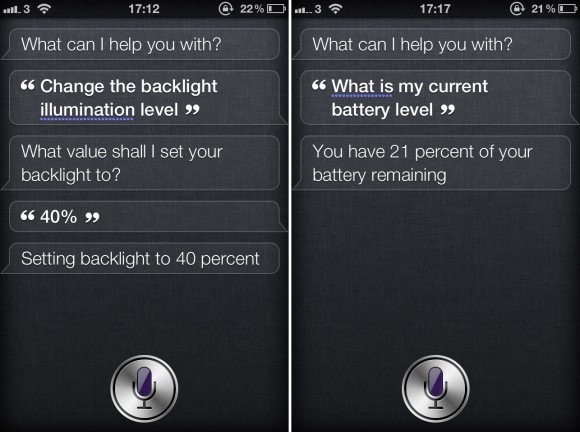 As we are awaiting an iPhone 4S jailbreak, developers are already making jailbreak tweaks for the device – Siri being the popular target to tweak. 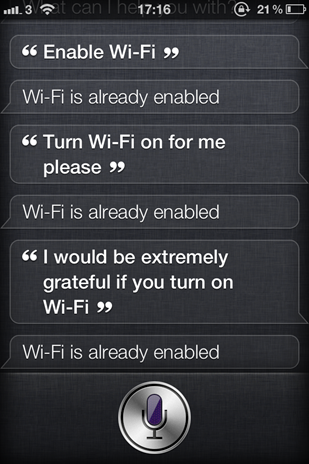 Developer Hamza Sood has developed a promising Siri tweak for a jailbroken iPhone 4S. This awesome tweak allows you to control various toggles like brightness, Wi-Fi connection, bluetooth, etc. using only your voice. It is basically like SBSettings but instead of tapping through the toggles, you just simply say what you want to check or change. For example, you can get answers if you say “Turn Wi-Fi on”, “Set the backlight level to 60%”, “Change the backlight illumination level to 40%” and pretty much anything else you would normally be able to toggle in SBSettings. Once an iPhone 4S jailbreak does become publicly available, we can see this becoming one of the most popular tweaks in Cydia.